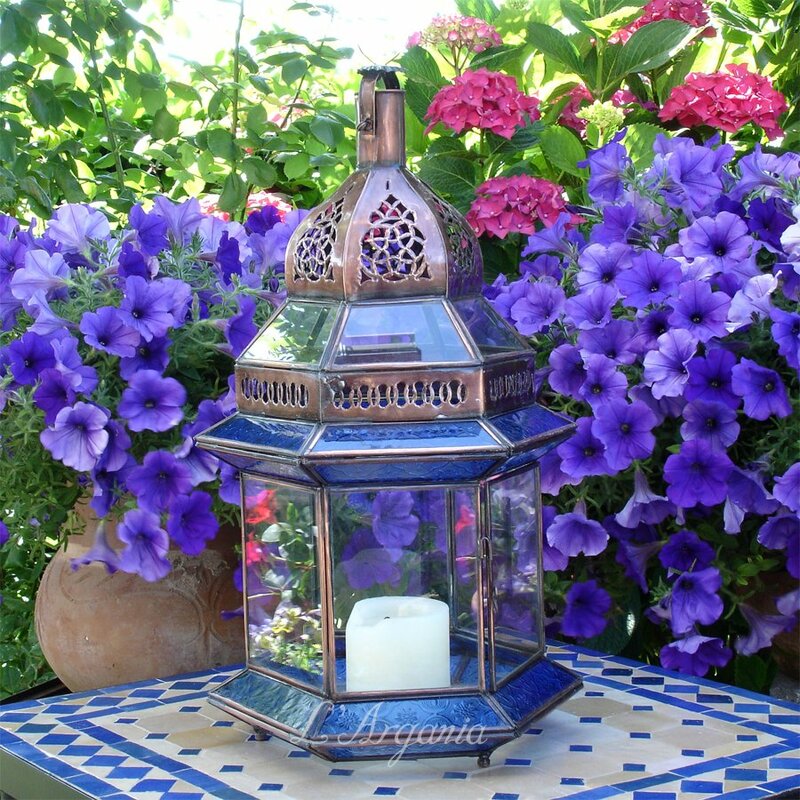 This lantern will give wonderful patterns on the wall if you will use a candle. It is hand made in Morocco, and the metal is galvanized with copper. The glass is clear and blue.